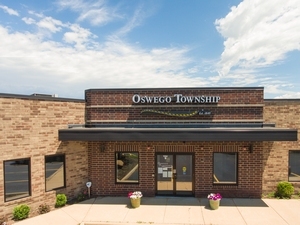 Welcome to Oswego Township online, the official web site of the local government in the Township of Oswego, in Kendall County Illinois. 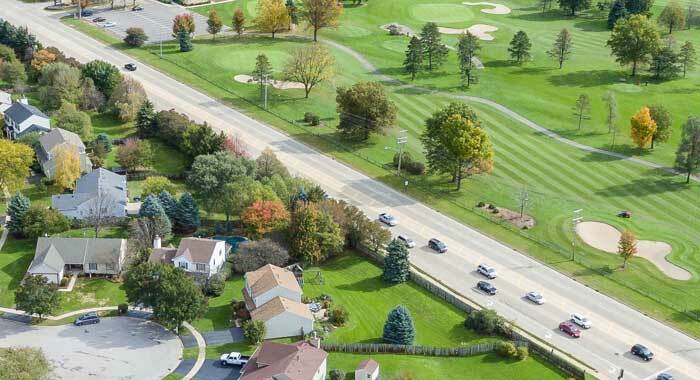 The purpose of our website is to provide useful, important and up-to-date information for residents and businesses in Oswego Township as well as individuals who are interested in finding out about our community. Our website provides information about Township services as well as other items believed to be important to our visitors. Oswego Township occupies a 6 mile square plus additional land to the south of the Fox River in the northeast corner of Kendall County, Illinois. It was established in 1849. It is located at 41.693N. – 88.335 W. and consists of 39.9 square miles of which 0.7 square miles is covered by water. The lands of the Township are drained by the Fox River and its subsidiaries. Oswego Township’s population in the 2011 census was 50,870 and it contains 16,388 housing units and 20,326 parcels of land. State Highways running through Oswego Township include U.S.Route 34, IL Route 25, IL Route 31, U.S.Route 30 and IL Route 71. Oswego Township includes the largest unincorporated community, Boulder Hill, In Illinois. It had a population in 2011 of 8,108 and consisted of 2,848 households. Oswego Township was named after the Village of Oswego which, in turn, was named after a city in New York. Oswego is an Iroquois Native American word meaning place of the flowing out or mouth of the stream. Oswego, New York sits at the mouth of the Oswego River while Oswego, Illinois sits at the mouth of Waubonsie Creek. GENERAL ASSISTANCE to qualified, low income individuals for their basic needs. This program is administered through the Township Supervisor’s office. ASSESSMENTS of all real estate parcels within the Township boundaries for property tax purposes. The Township Assessor and staff reviews and determines assessed value for over 20,300 residential, commercial, industrial, and farm parcels in Oswego Township. See the Assessors section of this website for additional information. MAINTENANCE of over 70 miles of roads and bridges in the unincorporated area of Oswego Township including Boulder Hill and Marina Terrace. See the Road District’s website for additional information. Township and other units of local government are regulated by provisions of Article VII, Sec. 8 of the 1970 Illinois Constitution which states, in part, these governments “shall have only powers granted by law.” In the late 1800’s, John F. Dillon a Supreme Court Justice in Iowa, developed this legal principle, which is known as Dillon’s Rule. In plain English it means that if there is no statute permitting a township or road district (or official) to perform a function or service, the government or official may not carry out that function regardless of how much it’s needed or wanted. If the statues are silent (do not mention) regarding a particular power or function, it does not exist. If the power doesn’t exist, the government (or official) may not perform the service. The Annual Schedule of Meetings are posted on the front door at the Oswego Township office. The Agendas are also posted on the front door, at least 48 hours prior to every meeting. Posted on the bulletin board, in the meeting room, at the Oswego Township office are the Meeting Minutes, which are posted within 10 days of board approval (following next meeting), along with the local compensation package of each employee having a total compensation package in excess of $75,000. Thank you for visiting the Oswego Township website. The time and effort you have spent here and your involvement in our local government are greatly appreciated.